Make no mistake investing in good shade makes great sense, a good shed is like adding an extra room to your house but without the inconvenience of planning permission or the need to spend several tens of thousands of pounds on building an extension. So investing in a good shed really is a good investment. It is well worth spending a little extra and buying a well built shed, as it will last longer and require less treatment. As an example a cheap shed may be built out of wood that is not pressure treated, meaning that you have to sand and paint it each year or spray it with creosote annually, all of which adds up to time and money. Also a cheap shed may be built out of timber that is not as strong as you would like, now for the majority of the time this is not an issue, however in extreme weather conditions you may find the shed falls over in the wind or the roof blows off. If this happens it is not just the cost of replacing the shed that you have to worry about, it is the damage caused by the wind and rain to anything you have stored in the shed, which could be an expensive chain saw, lawnmower or electrical items such as drills, which will be ruined if left exposed to rain for even a short period of time. When looking for a well-built shed then you should pay attention to the quality of the fixtures and fittings of the shed, such as the quality of the hinges and the locks, as well as the window furniture. Does as an example, the shed have window locks, if so then this shows attention to detail and you can have more confidence in the product that you are buying. Cheap fixings will be a good indicator that the shed has been put together just to make a good profit, and not to provide a strong enclosure that will last for 20-25 years or more. Quality of construction often speaks volumes for the product, and will give a good indication of how long the product will last. It really is not worth buying the cheapest shed that you can buy as you may well end up buying another one in a few years time, which can mean the hassle of taking down the old one and building a new one. 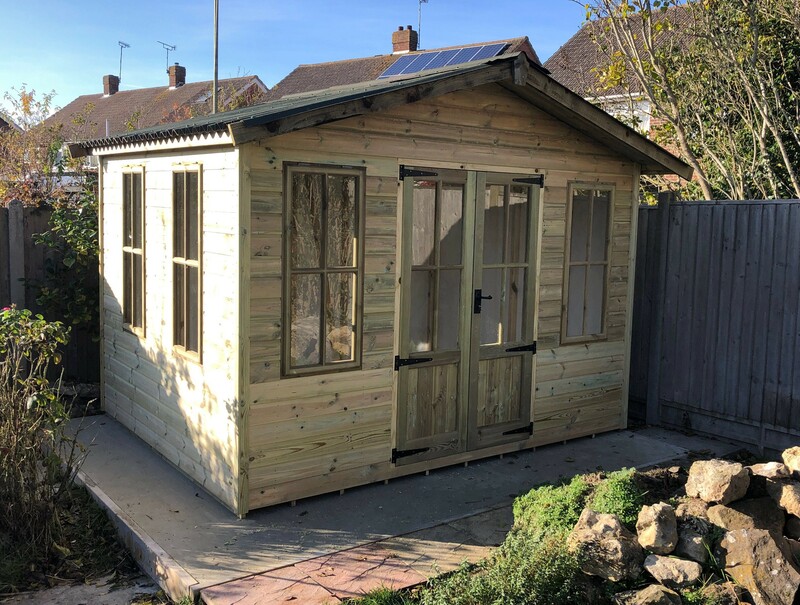 That's why at Ace Sheds we build only the best quality sheds, with pressure treated timber for extra life; making your shed a great long-term investment for many years to come.